Shelly Espinosa work with United Health Foundation is helping build healthier communities. In her role as vice president of grants and programs, she develops relationships and programs to further enhance the Foundation’s mission. Established by UnitedHealth Group in 1999, United Health Foundation is a nonprofit, private foundation that works to improve the health system, build a diverse and dynamic health-related workforce, and enhance the well-being of local communities through community partners, grants, and outreach efforts. Prior to joining United Health Foundation, Shelly spent four years working in Target’s community relations department. As manager of community relations, she was responsible for Target’s national social services programs and for consulting with executive teams throughout the company to build and execute their community relations plans. Prior to her tenure with Target, she was state director of program services for the Minnesota Chapter of the March of Dimes. “I think my biggest career leap was when I made the decision to move from the nonprofit sector to the corporate sector,” said Shelly. “It’s one of the best decisions I ever made. I’m fortunate to be in a role where I still have the opportunity to work with some amazing nonprofit organizations and support the great work they do for communities in need. 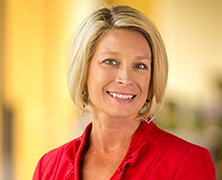 Shelly earned a bachelor’s degree in community health education from the University of Northern Iowa and a Master of Public Health in maternal and child health from the University of Minnesota. She currently serves as president of the University of Minnesota’s School of Public Health alumni board.